Dedicated to providing blood and services to those in need. 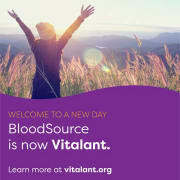 Would you recommend Vitalant (Formerly BloodSource)? It was a great experience volunteering,eveyone ones loving and,caring about others.I felt welcome and like they really care. Also everyone who works there knew their mission and accomplishment in the organization.